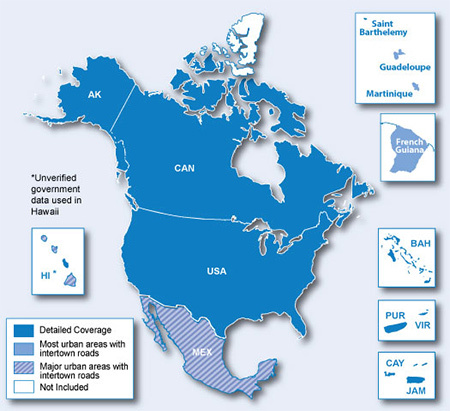 Garmin City Nav map of North America, suitable for the Garmin For nüvi Series, Garmin StreetPilot c3xx & c5xx Series plus the Garmin zūmo series. Map delivered on microSD card with SD adapter. The microSD card is pre-loaded with the latest City Navigator Edition. I purchased this item to expand the maps in my Garmin to include North America for a car hire in the US. It cost me close to the same price as hiring a GPS over there without the risk of the car hire company not having the GPS available when I collected the car. It also means I will have it for any future trips. The Sat Nav picked up the new maps without any configuration required to recognise them, it was as if my Sat Nav came with them built in.